I love teaching, but because I have so many other commitments in my schedule these days I don’t get to teach as much as I would like to. That’s one of the reasons I decided to do the DVD series that we’re releasing with Interweave. With that, I get to teach a technique once, and you get to watch it anytime you want. That said, I still plan to teach a handful of courses each year. And one of the teaching engagement I’ve taken for 2012 has just begun to take registrations. I’ll be a guest teacher at the Makerie retreat in Boulder, CO, next April. The Makerie looks like a lot of fun. Everyone stays at the Colorado Chatauqua National Historic Landmark (I think the locals just call it “Chatauqua” but the full name sounds pretty snazzy too) in cute little cottages. I love the Victorian charm of cottage #23 , but #106 is awfully cute too. I wonder if it comes with that adorable baby. 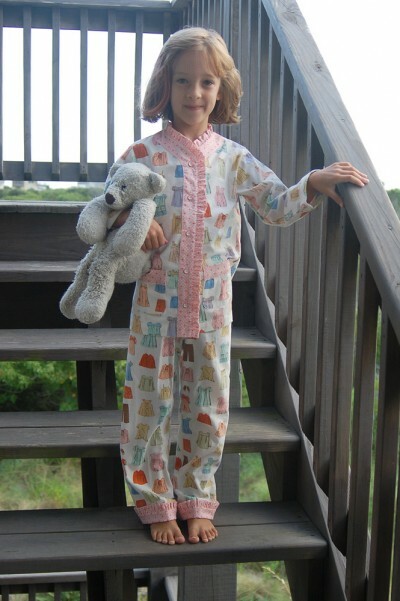 And if you’re really going for the full summer-camp experience #802 looks perfect for late-night pajama parties. And then when we’re all there we spend our time making stuff! How great is that? I love the diversity of the class offerings, and I’m only a little disappointed that I’ll be teaching every day because I’d just as soon take some of the other classes that are being offered. You’re going to have a difficult time making up your mind which classes to take, if you’re planning to come! 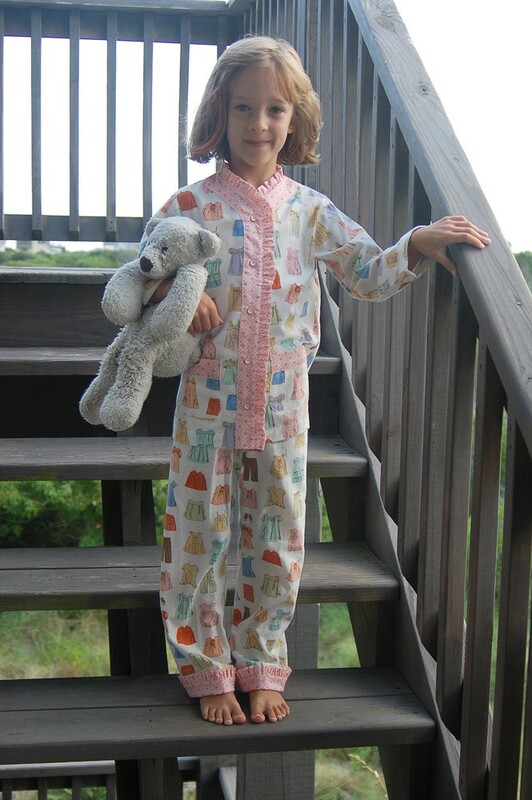 On April 20 I’ll be teaching the Oliver + S Sleepover Pajamas pattern and giving lots of little tutorials and sewing tips and tricks along the way, like how to lengthen and shorten a pattern. Of course I’ll be available for individual attention as you’re sewing and have questions or need a little extra help. I’ll try to come with lots of silly stories to tell as you sew, too. That’s the best part of all-day sewing workshops–while you sew, I chat. So don’t give me any coffee at breakfast, ok? That gets dangerous–me and caffeine. And then on April 21 we’ll be sewing from an upcoming spring Lisette pattern for a really flattering and cute A-line dress. If you click through to the class description you can see some of my early sketches of the dress. I just approved this dress at the third fitting last week, so we’ve been working hard to make this pattern absolutely perfect for you. I forgot to take photos at the fitting, so you’ll just have to go by my sketches and trust me on this for now. The dress can be made sleeveless, with short cap sleeves, or with 3/4 sleeves. You can also choose the length: mini dress, just above the knee, or full-on maxi dress. I’ll help you to make a muslin so you can get a great fit, then we’ll talk about fabric selection and get started with your sewing. So you’ll be all ready for summer, no matter which style you choose, and you’ll be able to make lots more dresses once we’ve gotten a good fit for you. Follow the links above for complete class descriptions, and I hope you can make it to the retreat. It will be fun! this sounds way exciting! i’d love to be able to attend….i wonder how to work this in…?? Pajamas are just too cute. Enjoyed learning about you. Pajamas are just too cute. Love children’s clothing. Wish I had had little girls that always stayed little. I loved to make Easter dresses with matching coats and little jumpers that were appliqued. Then I had two boys-making clothes for them – never! Where on earth can I find the pattern for these WICKED cute Jammies?!?! ?